Mandisa has had quite a year. 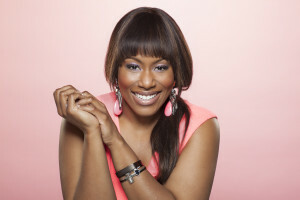 From her recent Grammy win to chart-topping singles like “Overcomer,” the Christian artist has come a long way since her tenure as a finalist on American Idol in 2006. Even with the acclaim and spotlight, though, Mandisa says she’s doing everything she can to stay grounded. She is focused on memorizing and quoting Scripture, fighting temptation, and building intentional relationships in which discipleship is the goal. As a result, she has become a celebrity who remains approachable for her fans and is a role model for many to look up to. It’s been an incredible year for you with a lot of success and awards. Do you feel like you’re used to the platform yet? Or has it been hard to adjust? There are a couple ways I could answer that. As far as success is concerned, I don’t know that you ever adjust to it. I don’t know that I would ever want to. I feel like I would start to expect certain things. As an artist, I think we have to be very aware of pride and how it can creep in. You can’t just think it won’t happen; you have to actually fight against it happening. In that sense, I just got some new awards, and I have a bookcase with them all sitting there. I look at them every now and then and wonder, “What in the world?” Honestly, it’s been the wildest year as far as critical acclaim is concerned. I don’t want to adjust to that. I always want to be pleasantly surprised. One of the guys who disciples me always says, “New levels, new devils.” When things like this are happening, a lot of warfare can come along. I’d say that’s been the biggest adjustment for me: really recognizing and being on guard against the spiritual attack that comes as a result of a year like this. That’s not easy to adjust to. So, in every sense of the word, I’m still adjusting to everything. You mentioned your discipler, or mentor. What have you learned about the importance of having a discipling community around you when you’re an artist? Discipleship is not just going to church on Sundays. That’s not discipleship. Jesus’ last command to us was the Great Commission, to go and make disciples. If you look at the way Jesus did it, He spoke to the masses, and I consider that my Sunday morning church. But He also invested in a discipleship relationship with 11 other people. It was intentional. It was one-on-one. He taught them how to live their lives, and then He commanded them to do the same for other people. If you follow that example, that’s really how Christianity is spread. I think in this world, or at least in the Western church, we have it twisted when we think it will happen by inviting people to church all of the time. While we should do that, there really has to be an intentional discipleship relationship with somebody who’s like a Paul in my life and a Timothy in my life. We have to have someone passing along to us, and I have to have someone I’m passing along to. That’s really how it spreads. What’s the primary lesson you’re learning these days? I think the primary thing I’m learning is about warfare, as I mentioned earlier. I’ve learned that as believers we’re always in a battle and we have to ready ourselves for that battle. When I look in Ephesians 6 at the armor of the Lord—the helmet of salvation, the breastplate of righteousness, the belt of truth, the feet fitted with the readiness of the gospel of peace, and the shield of faith—those are all defensive. They’re all used to protect. The only offensive weapon is the sword of the Spirit, which is the Word of God. When Jesus fought temptation in the wilderness, He didn’t get into a debate with Satan. He simply said, “It is written.” He quoted the Word of God. I’ve learned that that is the way we need to fight as believers. If we don’t stay in the Word, get in the Word, and meditate on it, we’re not going to have anything to fight with when we are faced with temptation. Maybe it’s because of all of the warfare I’ve been experiencing lately, but that is where I’m focusing right now. “Overcomer” is such a huge song and a huge theme for both you and, consequently, your fans. Is it safe to say you’re hearing stories every day of what the song means to your fans? At least when I’m on the road or on social media, yeah. I hear stories pretty regularly. [Laughs] I mean, it’s what it’s all about. It’s one thing to focus on how the song performs on the charts, but it’s another thing to put flesh and bone onto the impact that it’s having on people, which represents why it’s doing well on the charts in the first place. Mainly I hear from people who are dealing with cancer, and maybe that’s because my friend who was battling cancer inspired the song. But I hear from people who are going through all manner of situations—problems in their marriages or financially—who have clung to that message. It’s a catchy song, but [the real reason for its impact] is that it’s based on the Word of God. God calls us overcomers. I think that’s why there’s so much power to it. It’s written on what Scripture says about us. What’s been the favorite story you’ve heard from a fan? I met a girl recently at a concert. Her mom contacted an organization that helps kids meet their favorite celebrities. She was eight years old, I think, and I can’t remember the name of her disease, but I could tell she was not living a normal life. She struggled with a lot of physical ailments. She was very weak and very reserved, but her mom showed me a video of her in the hospital. I guess she has to go in and get these treatments. She was in so much pain, but her mom showed me a video of her singing that song. Oh my. You can’t see something like that and not see the impact of those words. A little girl who is living way beyond her years (and should not be going through as much pain as she is) clings to this message of what God says about her. It’s helping her get through those treatments that she has to face every week. I think that story has been the most impactful because I actually got to see her face to face. You have other songs that also help people find hope, joy, or healing. What’s the last song that provided that for you? Danny Gokey has a song called “Hope in Front of Me.” That song hit me anew recently when it came on the radio in my car. I tend to look back at things that have happened to me or mistakes I’ve made, and I don’t even know if this was Danny’s meaning, but I felt God saying, “The hope is in front of you. As long as you stay focused on the past, you’re not going to see it.” But if you put your gaze upon where God is, then you’ll see the hope. I’d heard that song several times, and Danny is a great friend, but that day in the car listening to it, it struck me in a new way. You’ve spoken many times about your own battles with body image and so on. How much of that is in the rearview mirror and how much of that is still a present battle? It is a constant battle, and I’m talking about every single day. [Laughs] It would be great if one day I could say that I’ve completely overcome this and I don’t struggle with that, but the reality is that it might just be the thorn in my flesh that keeps me dependent on the Lord. Every time I look in the mirror, every time somebody says something about me on the Internet—it’s constant. It is a constant tape in my mind about my identity, my image, and the way I look and how I don’t measure up. The reason I say it can be the thorn in my flesh is because it’s really helped me to realize that I have to work on it. You can’t just say that you’re not going to think about it and try to squeeze your eyes shut and empty your brain out. That’s not how it works. You have to replace those thoughts with the truth. For me, I’ve discovered that, again, it’s what Jesus did. He replaced the lies of Satan with the truth of God and His Word. I’ve discovered the best tool for me is that I know the areas I struggle with, so I have to have a bunch of Scriptures I can actually say out of my mouth when that tape starts playing again. For example, if I’m thinking I am ugly, I have to say, “No, I’m not ugly. According to Psalm 45:11, I’m beautiful to the King of Kings. According to 1 Peter 3, I have an unfading beauty that is of great worth in God’s sight.” If I feel lonely, I’ll say, “Hey, I’m not alone. Jesus says He’s with me to the end. God will never leave me nor forsake me.” I have a lot of go-to Scriptures. When I start to hear those lies, I learn to replace them with the truth. And there’s something really powerful about actually speaking it out of my mouth. We know that our words have power. The Bible talks over and over again about the power of the tongue, so I think I need to also open up my mouth and say it. Even if I don’t feel it—or even if I don’t believe it, to be honest—I find that the more I say it and the more I replace the lie with the truth, the more I start to believe it. So that’s the way I battle with it. I battle it every day, but I’m overcoming every day. I feel like I’m getting stronger, but it might just be something I battle the rest of my life. If that’s the case, I’ll just keep rehearsing and claiming the truth. 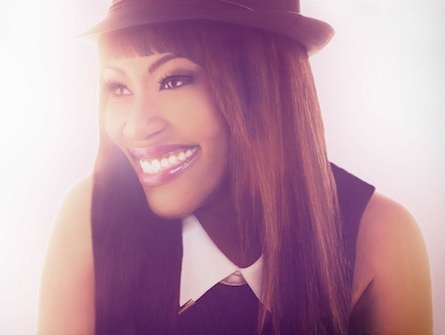 *Be sure to pick up or download Mandisa’s latest album, Overcomer, and read her book, Idoleyes: My New Perspective on Faith, Fat, and Fame. Matt Conner is a writer and speaker who has interviewed well over 1000 artists in his career. You can find more of his work at mattconner.net.